A fun and fabulous womens court shoe by Irregular Choice! These superb women's heels feature a glittery gold diamond upper on a contrasting black background and an attractive cut away detail to the sides. 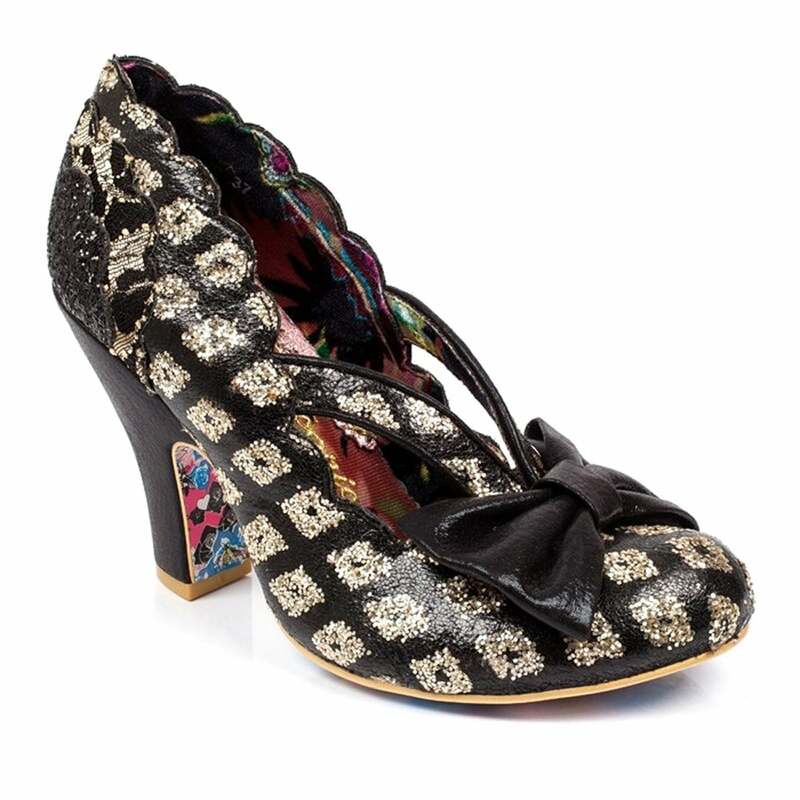 Inside, this beautiful court shoe is lined in a floral fabric with the Irregular Choice branding embroidered in gold and rainbow material around the edges of the inside. A stiffened black bow and high heel provide a fabulous finish. Even the sole of the shoe is beautifully decorated in such a pretty flower design of lilies and roses it's almost a shame to walk on it! If you're looking for a simple retro style to compliment your outfit, then the Irregular Choice Curtain Call heels are the choice for you. Matching clutch bag available while stocks last.